Get Help Now! Call 800-468-4357. Suicide survivors need support following this traumatic experience. Four County ADAMhs Board has begun to aid with this support by providing a L.O.S.S. team in the four county area. Local Outreach to Survivors of Suicide or L.O.S.S. provides a team of trained volunteers to support those who are left behind. 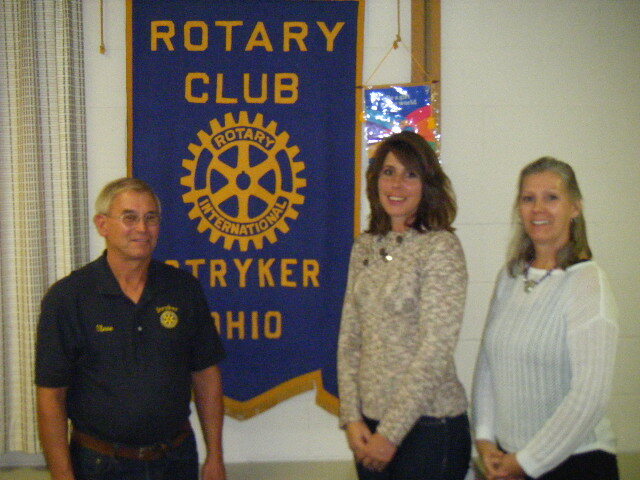 Pamela Pfium and BJ Horner spoke to the Stryker Rotary Club about the services provided as well as the importance of survivors getting help at their October 13th regular meeting. This type of support has been available for children for a number of years in our area, but help for adults is something that just began in May of this year. Statistics tell us that a suicide survivor is nine time more likely to become a victim of suicide. The survivor requires four and one half years to recover from this traumatic experience without help. The support provided by L.O.S.S. can reduce the recovery time to as little as 37 days. This area experienced 122 deaths by suicide in a seven year period from 2008 thru 2014. More than half of those deaths were adults age 40 thru 50, with 80% being men. A L.O.S.S. team is on call 24 hour per day to assist, working closely and directed by the law enforcement at the scene. The team consists of three or four trained volunteers, including at least one suicide survivor. In addition to the L.O.S.S. team at the scene, support groups also meet regularly to assist with the healing process. Pamela and BJ spoke to the club as a guest of Stryker Rotary Member Steve Planson. Pictured from left to right are Steve Planson, BJ Horner, and Pamela Pfium.